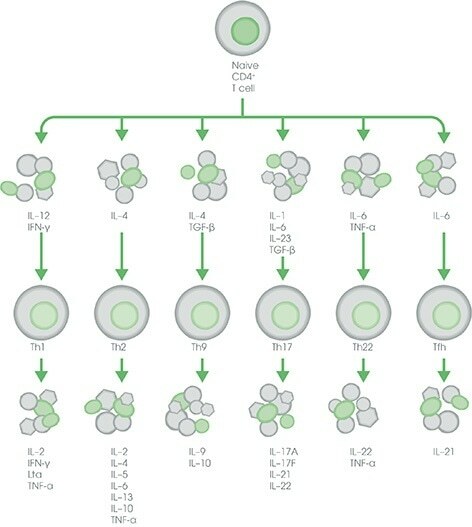 Quickly identify differentiator and effector cytokines for different T cell subsets. 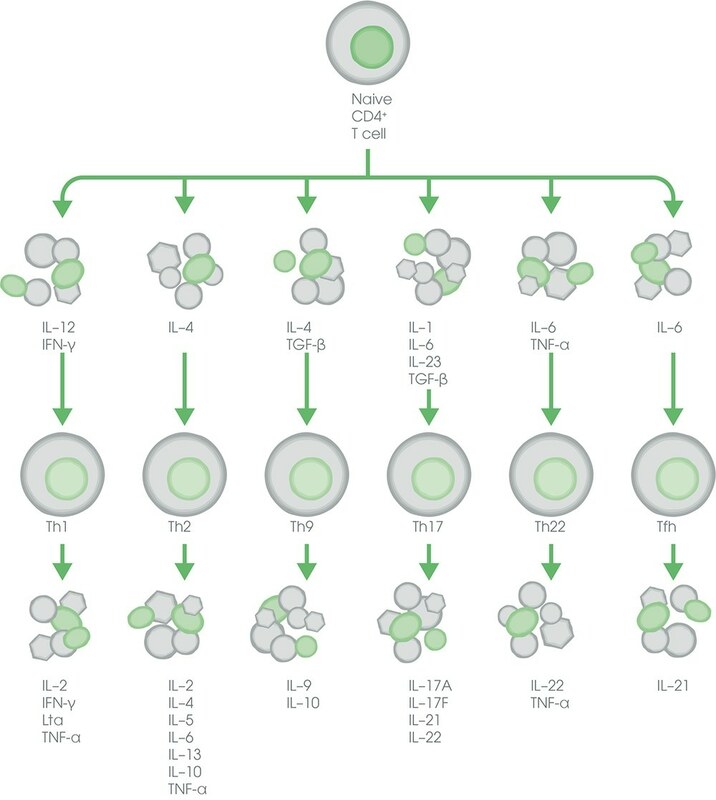 Cytokines have become useful tools and markers for studying complex processes like inflammation and autoimmunity because of their ability to promote and yet limit immune responses. Click on the below image to review the regulatory transcription factors, effector and differentiator cytokines. Cytokine proteins can be used as differentiators and also antibody arrays and ELISA kits, including SimpleStep ELISA, for the measurement of secreted cytokines.